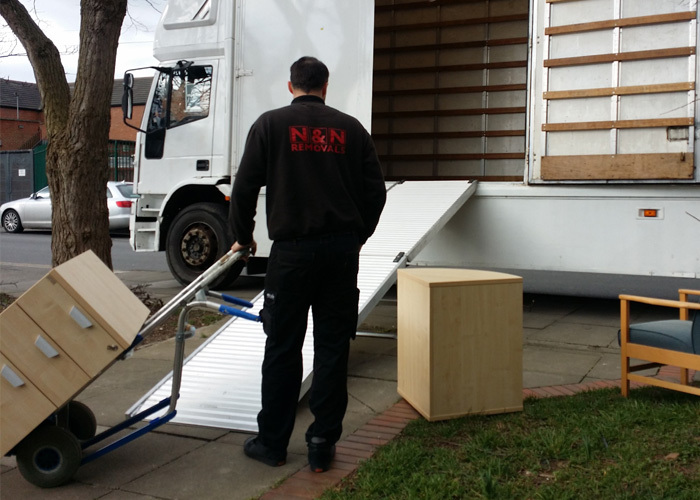 N & N Removals provide containerised storage facilities which are fully insured, secure, dry and alarmed. Prices are competitive and calculated solely on the amount of space you require, and no minimum term requirement. We fully understand that there can be a period of time during a home or office move where you may require somewhere to store your possessions so that you have the time to decorate and settle in before you move all your items in to your new property or, alternatively, you may just be looking to make some space at your current property and need somewhere to store your items for the time being. Here at N&N Removals we provide containerised storage facilities in Middlesbrough which provides you with an ideal solution to any storage requirements you may have. When using our storage facilities, you can be safe in the knowledge that your possessions are being stored in a safe, secure and damp free container meaning that your items will leave us in the exact same condition they arrived in. We offer very competitive pricing on our containerised storage facilities and we will only give you the amount of storage you require unlike other storage companies who will charge you for storage space that is bigger than you need. We also don’t have a minimum term for storage meaning you can store your possessions with us for as little time as you require and you will only ever be charged for these days. If you are interested in our storage facilities but you are unable to get your items to us don’t worry as we also offer a man with a van service which will help you in transporting your goods to us safely and securely ready to be stored in our storage containers. We also offer a packing service which takes the pressure off you to make sure that your items have been packed away properly to ensure no damage is caused during transport. No matter your reason for requiring storage, whether you are moving house and need a place to store larger items of furniture or you need somewhere to store bits and bobs for a while we will make sure that you are provided with a fair and competitive quote on a container that is the right size for your requirements. All our storage containers are fully insured, damp proof, secure and alarmed to ensure that your items are as safe as possible whilst in our care to give you the peace of mind you need. Our storage facilities are located in Middlesbrough however they are also in an ideal place for potential customers located in the local surrounding areas. We have stored items for customers from various locations such as Redcar, Hartlepool and Stockton to name a few. With us having an excellent pricing plan for our storage we have also welcomed customers from further afield such as Durham, Darlington and Guisborough who have all benefited from our storage services and the reasonable and highly competitive quotes we provide. If you are interested in storing your items in our containerised storage then please don’t hesitate to contact us and we will be more than happy to answer any questions you may have and provide you with a free, no obligation quote. Quotes include the assistance of the driver/s in loading and unloading the Luton transit van. See Prices for charge rates. For a more in depth look at the cost of moving, you can use our moving calculator.